2 Bedroom End of Terrace House For Sale in Hyde for £120,000. 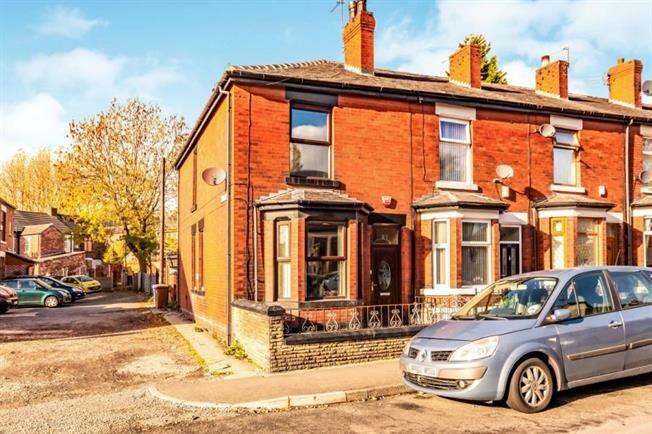 Spacious two bedroom end terrace property ideal for a first time buyer or investor. Well located for all local amenities and transport links. The accommodation comprises: entrance vestibule, living room, dining kitchen, two bedrooms and a bathroom. Externally there is an enclosed rear yard with brick built outhouse and off road parking available to the side of the property. No Chain!